Hydration is essential for life; every living cell in the body needs hydration to keep functioning. In fact, 75% of body weight in babies and 55% of body weight in adults is made up of water. What is the maximum time an individual can go without hydration? “Depending on the temperature you are exposed to, you can go 100 hours without drinking at an average temperature outdoors,” verifies Dr. Claude Piantadosi, professor of medicine at Duke University School of Medicine. We don’t feel thirsty until we’re about 1 or 2% dehydrated; but by then, dehydration is already affecting the mind and body. “Dehydration affects all people, and staying properly hydrated is just as important for those who work all day at a computer as it is for marathon runners, who can lose up to 8 percent of their body weight as water when they compete,” explains Lawrence E. Armstrong, physiology professor at the University of Connecticut. So Why Does Hydration Matter? Hydration helps control our body temperature while lubricating joints. Hydration helps transport nutrients to provide us with much-needed energy. Optimum hydration helps offset water loss caused by sweating and respiration, which are important cooling mechanisms in warm climates and during physical activity. If you don’t stay hydrated, your physical performance will suffer, especially during intense workouts and hot seasons. Remember, dehydration can cause striking discomforts when your body loses as little as 2% of water. The result? An altered body temperature control, reduced motivation and fatigue, making your workouts physically and mentally difficult. If you undergo frequent exercise and sweat profusely, hydration will help you reach and sustain peak performance. And to keep hydrated, you would probably quench your thirst with a drink of water, right? Sure, after some swallows, you might feel better – but that doesn’t mean you’re fully hydrated. The same goes for when you spend a night clubbing at a hot spot – gulps of water won’t quickly help. 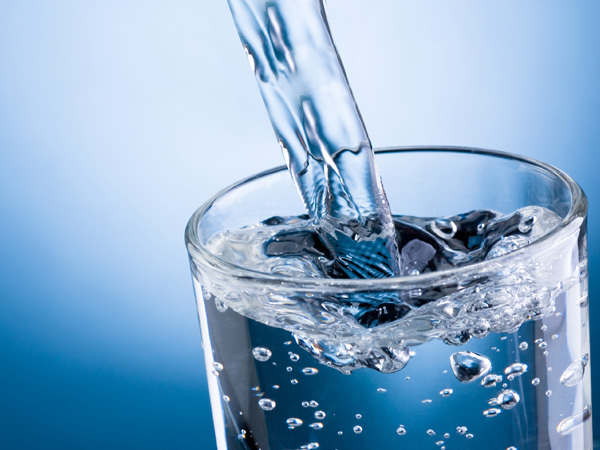 In fact, studies have found that after drinking water, it takes five minutes for it to appear in the bloodstream; half of the water from that drink is absorbed by the 13-minute mark, and then fully absorbed in 75-120 minutes. But when you become hydrated using nutritional IV therapy, the fluids directly enter your system and immediately hydrate your cells. This means you can increase the amount of fluids, vitamins, and minerals in your body right away, making you feel better and recover faster. Nutritional IV therapy hydrates you, while enhancing your energy, cognition and mood. First, let’s explain how your brain is influenced by hydration: We lose fluids from the body nonstop, and not just through urine and feces; we even lose water via our skin and breathing. The human brain is 73% water, so poor hydration can greatly impact brain function. Not to mention, other studies have proven that mild dehydration negatively impacts mood, brain performance and memory. To be specific, fluid loss of 1-3% can impair energy and mood, leading to significant cutbacks on memory and brain performance. This is problematic to youths and the elderly who reside in hot climates, as well as those who participate in strenuous physical activities. Pure water does not contain any nutrients itself; however, intravenous nutritional therapy (also known as intravenous hydration) can. With IV hydration, as soon as your infusion starts, vitamins, minerals, and other nutrients are quickly circulated through your bloodstream and delivered to cells, where they are immediately available for use. Think of IV hydration as a “direct deposit” system; with IV vitamin therapy, there’s no waiting for the nutrients to clear the digestive system and liver. IV hydration treatments contain healthy minerals and vitamins that your body needs such as sodium, magnesium, vitamin C, B and calcium, while helping every cell in your body function properly. Nutritional IV therapy is the only way to reap the benefits of the fast delivery of vitamins, minerals, while quickly rehydrating the cells in your body. This greatly speeds up recovery and assures performance at its highest levels. Knowing this, it’s obvious why IV nutrient therapy is the best way to achieve hydration.